I got a new Raspberry Pi B+ board from Adafruit. Check out my review of it here. Adafruit is a great place to purchase the Raspberry Pi model B+. Select option 1: Expand Filesystem. Then reboot the Pi for the expansion to take effect. In the continent menu I selected "America", and in the city menu, I selected "New_York." Save the file with the usual vi command ":wq" and shutdown the Pi. Then, connect the WiFi adapter and boot it again. At this point the Pi should be able to get into the network. After that, upgrades behaved at the usual speed. So, a great application to use instead is Sonic Pi, which is intended to learn live music coding. It's a lot of fun and a very interesting learning experience. 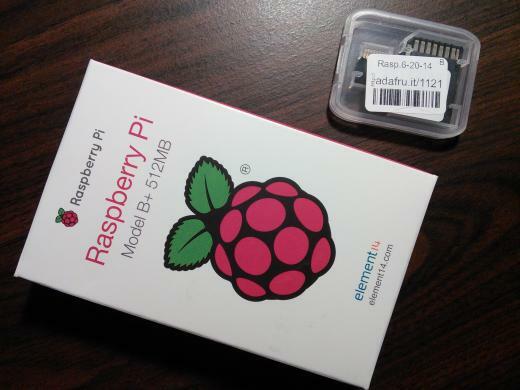 Overall, the Raspberry Pi model B+ is a great improvement over the model B! And, the Pi engineers did an excellent job on improving the board while maintaining the same price. Mandel, Thanks for the clarification. Your point is well taken. Here is an interesting article on the concepts around Open Hardware: https://opensource.com/resources/what-open-hardware As you point out, the Raspberry Pi is not fully Open Hardware, certainly not at the level that an Arduino board is, for example. In particular, the Broadcom BCM2835 chip has a non-open specification. However, the schematics of the Raspberry Pi board are open: * https://www.adafruit.com/datasheets/pi2schem.pdf * http://www.raspberrypi.org/wp-content/uploads/2012/10/Raspberry-Pi-R2.0-... and quite detailed documentation is openly shared in Github: https://github.com/raspberrypi/documentation/tree/master/hardware/raspbe... It is clear that quite a lot of effort has been put by the Raspberry Pi team, on making as much information available as possible. I would be inclined to qualify this as: 1) The Pi is open at the Board level. 2) The Pi is not fully open at the Chip level. This raises an interesting conversation about what systems are available with a fully open hardware stack, including chip design, and micro-code. In other words, can we still build a fully open-hardware computer ? I think you're really much mistaken here. The RPi foundation do share a great deal of information about the Pi and are a super great bunch. However they do not make Open Source Hardware. Please stop saying that they do! Going through the article you provide in your comment here. "the "source code" for open hardware—schematics, blueprints, logic designs, Computer Aided Design (CAD) drawings or files, etc.—is available for modification or enhancement by anyone under permissive licenses. " The schematics provided for the Raspberry Pi are provided under copywrite, all rights reserved. Not a permissive license unless I'm much mistaken. "The documentation must include design files in the preferred format for making changes, for example the native file format of a CAD program. Deliberately obfuscated design files are not allowed. Intermediate forms analogous to compiled computer code — such as printer-ready copper artwork from a CAD program — are not allowed as substitutes." To be open you need board files. Open hardware is something that you read in the native format used for design, send off to be built (unchanged if you like), assembled (and sold as profit if you like) as long as you attribute (if stipulated). Anything else is closed. That's not a hard line but a fact of Open Source Hardware. I love the Pi and the Pi foundation but please don't use marketing to muddy the understanding of Open Source Hardware. For more info see the definition on the OSHWA site. It's worth noting that not all the devices on that list are fully open either. 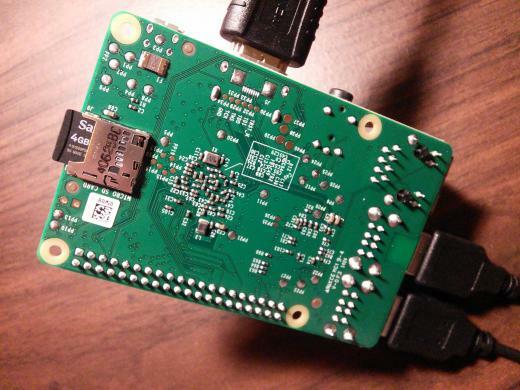 Most of them try to be as open as possible while still accomplishing their other goals, and that is also what the makers of the Raspberry Pi do. For example, I have an OpenPandora, and while they have tried to make it as open as possible, it is no more open than the Raspberry Pi is. Great article! I just bought my first pi, a B+, and I still haven't decided whether to use Debian or Fedora. I plan to use it as a DHCP and DNS server, since I am sure it has a very short boot time.